Handmade in Brooklyn beautiful Rebecca Schoneveld dress. 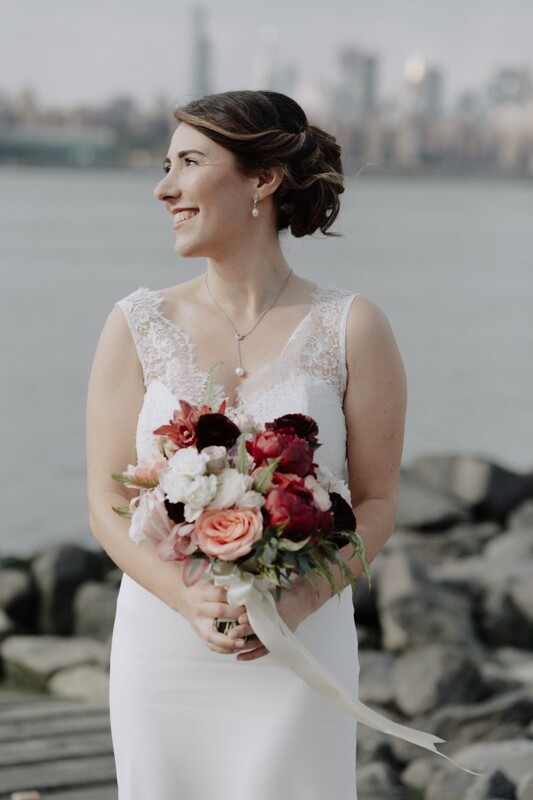 This unique dress is part of her "custom" collection and is made up of parts from 3 different dresses: the Alma column skirt, Evalyn strapless bodice and the Audrey french lace topper. All pieces are sewn together but can be separated by a skilled seamstress. Label size is a 6 US. I typically wear a 4 US. The dress was professionally altered to replace the B cups with D cups, take in the waist and shorten the hem. In the photos, I am 5'2", 122 lbs and wearing flats. My measurements are 35" bust, 27.5" waist and 37" hips. The dress will be professionally dry cleaned, pressed and packed for shipping. Accessories are not for sale. Thank you for considering my dress! Dress was altered to take in the waste and replace B cups with D.
Once you send a message, Darryl can invite you to purchase the dress.